The Mai is a richly-woven story of four generations of women in one midlands family. At the centre of the household is The Mai, a 40-year-old woman torn between her wayward husband and her family’s happiness in a play that brims with passion and poetry, love and lyricism, heartache and hope. First produced by the Abbey at the 1994 Dublin Theatre Festival, it comes to Galway in a production by Decadent theatre, directed by Andrew Flynn. The role of The Mai is taken by Derbhle Crotty, one of Ireland’s finest actors and one with a special affinity for the work of the play's author, Marina Carr. 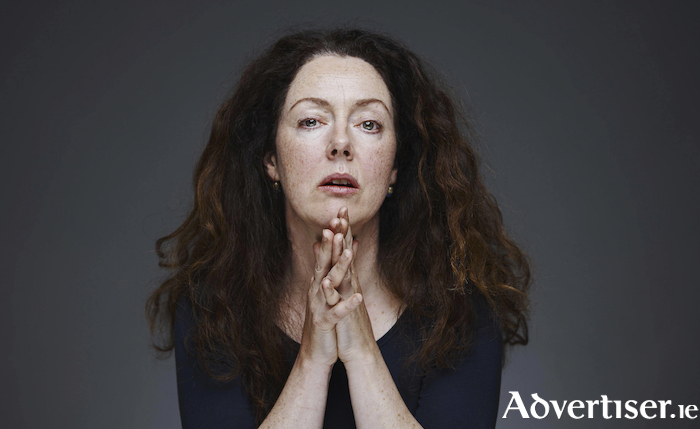 Twice winner of the Best Actress accolade at the Irish Theatre Awards, Crotty is an actor of great range and depth, whose compelling onstage presence has graced landmark productions of both new plays and classics by Druid, the Abbey, the RSC, and the English National Theatre. One of her first roles was in that first production of The Mai, in which she played the character of narrator/daughter Millie. In conversation, Crotty exudes the same lively intelligence that animates her performances. Her voice carries traces of her native Cavan accent and her remarks are occasionally punctuated by warm shafts of laughter. Marina Carr’s plays have been a recurrent thread throughout Crotty’s 25 year career; after The Mai she featured in Portia Coughlan (1996 ), Marble (2009 ), Hecuba (2015 ) and Anna Karenina (2016 ). In a well-received speech Crotty delivered at the Waking the Feminists gathering in the Abbey in 2015, she reflected on how theatre had enabled her to express and explore her own "contrary, turbulent and passionate nature", and it is striking that those words could be applied to many of Carr’s women. Given that she spoke so eloquently at the Waking the Feminists gathering, I ask Crotty if she has discerned a change in attitude in the theatre world about gender balance since then? “There has definitely been a change in the sense that once you see something you can’t unsee it,” she observes. “Now that women have spoken, Waking The Feminists is a powerful movement that everybody is aware of. I don’t think anyone can approach anything without having as a consideration the presence of women, the representation of women, just the numbers as much as anything. "Waking The Feminists represented all sorts of different opinions and I’m not involved with streamlining policy so I don’t know how all of that is going to work. Honestly, I scratch my head a bit as to how things like gender quotas regarding actors could be imposed. Druid were before their time because they had planned to do gender-blind casting of DruidShakespeare before Waking The Feminsts and it was wonderful that that production addressed it so quickly and successfully. But I haven’t really seen it tackled in such a vigorous way since. Crotty’s terrific performance in DruidShakespeare as Bolingbroke/Henry IV was one of the roles which secured her The Irish Times Best Actress Award. She has also taken leading Shakespearean roles with the RSC and the English National Theatre. How would she compare doing Shakespeare in England and Ireland? “I think Irish actors act more with their whole body,” she says. “There can sometimes be a tendency with venerable British productions that they are very spoken and I thought Druid’s approach was really from the gut and very strongly physically manifested. British actors can be technically brilliant and that is something that I would like to see us owning more, technical ability.